"REDUCED!!! 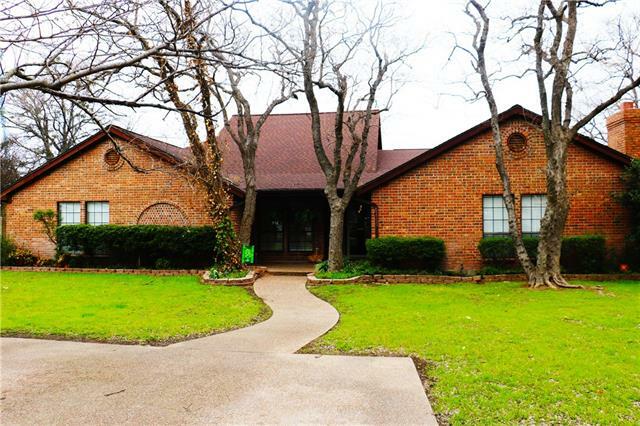 Impressive Rock House Beautifully set on double lots on 1.03 acres high on a hill with amazing views of Lake Worth and Downtown FW! *Almost 2500 sf with 3 bdrm, 2 baths*378 sf Living Room with gas log fireplace*Also featuring a vaulted ceiling, recessed lighting, and expansive bay window with views of the lake*Kitchen with breakfast bar and plenty of cabinets and storage space! 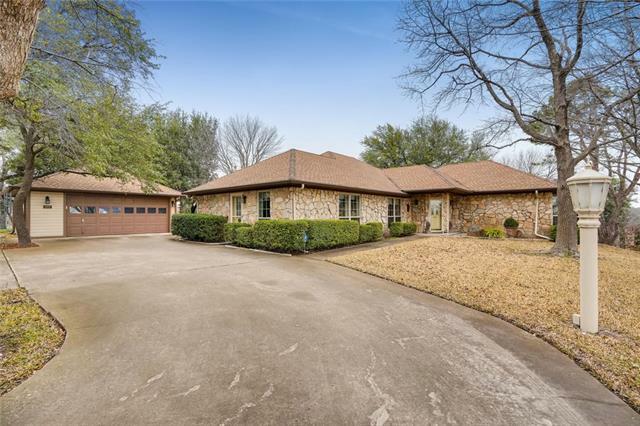 *Second living area for entertaining, game room, home office with hallway of closets with more storage*Master"
"A lot of home for the money, this home has 3 bdrms 3 baths, 2 living areas, game room sewing room and an exercise area. The garage has been converted into another living which would make 3 living areas if needed or it could be put back. 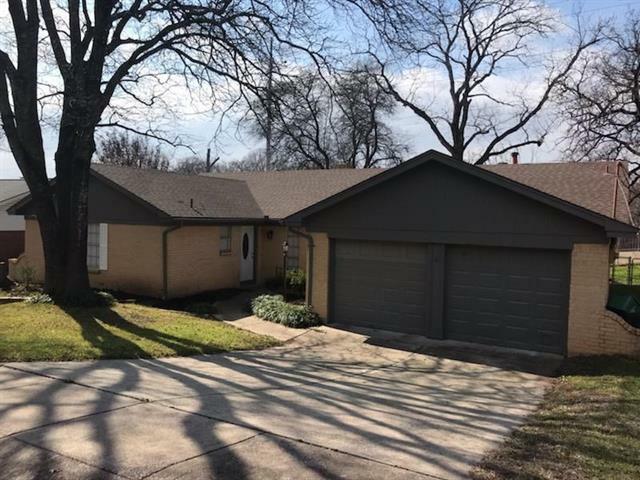 This home has extra large rooms through out and can accommodate a large family or would be great for a mother in law or quest quarters. Tons of updates through out, check out the supplements online for a complete list. This home is located just minutes from "
"Price reduced. Motivated seller. Totally remodeled brick home on cul de sac street less than 1 mile from Lake Worth. Almost everything new. New carpet, tile, and wood flooring. New paint inside and out. Kitchen features new stainless steel range and dishwasher, freshly painted cabinets, new granite counters, new sink and new backsplash. Both bathrooms redone with new hardware and tile. All bedrooms redone with new paint and carpet and master refined with newer modern look. Brand new HVAC wi"
"Quality built home with mature canopy of trees in quiet neighborhood within walking distance to lake and park. Low ceilings and pocket doors provide warmth in the winter and stays cool in the summer. Spacious rooms, built-ins, galley kitchen, gas cook top, wood fire place and extra den perfect for music or game room. Layout is ideal with living and sleeping quarters separate with additional room allows for family gatherings. Backyard with dog run for family pets or work shed built. 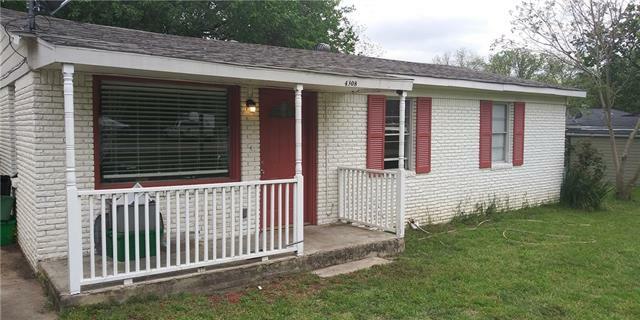 Neighborh"
"Open 3 bedroom, 1 bath house right between Lake Worth and Azle! Includes 2 living areas and a good sized-yard. This house would make a great starter home!!"